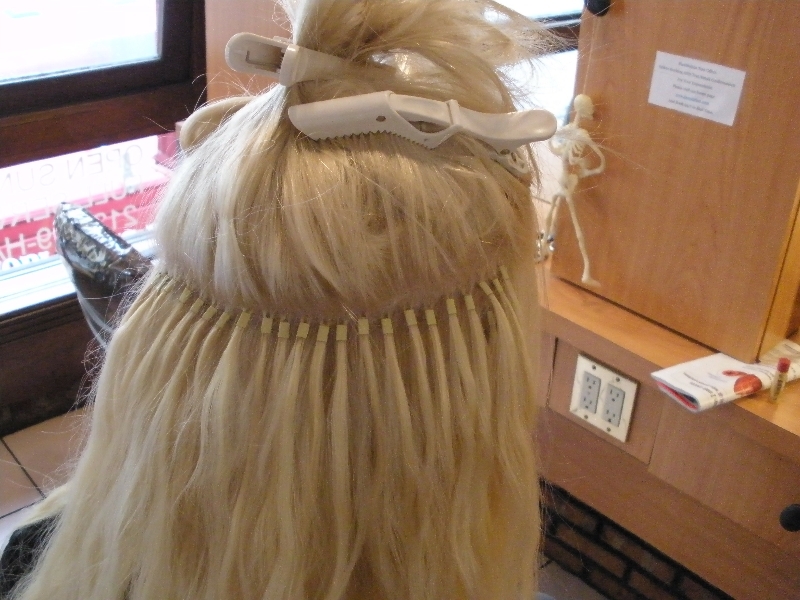 Beautiful long blonde hair extensions, straight enough to land a plane on. 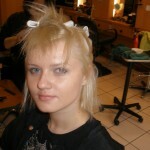 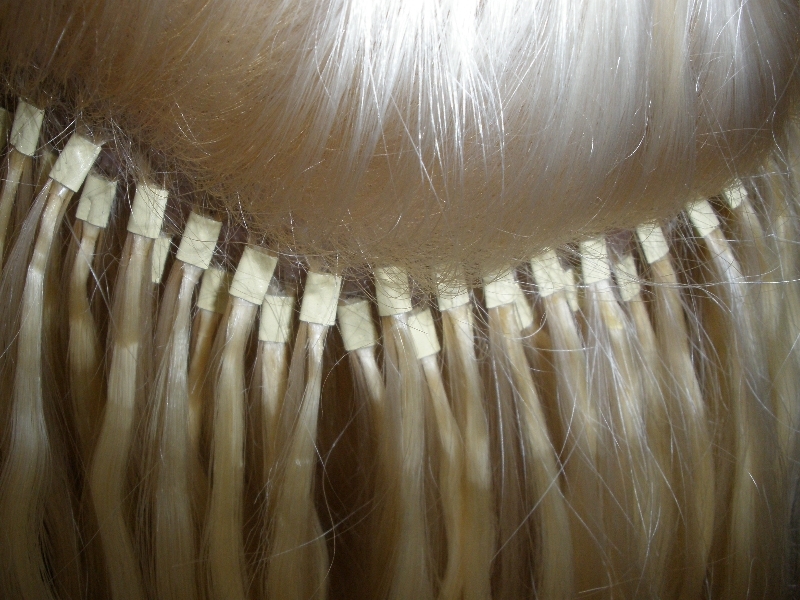 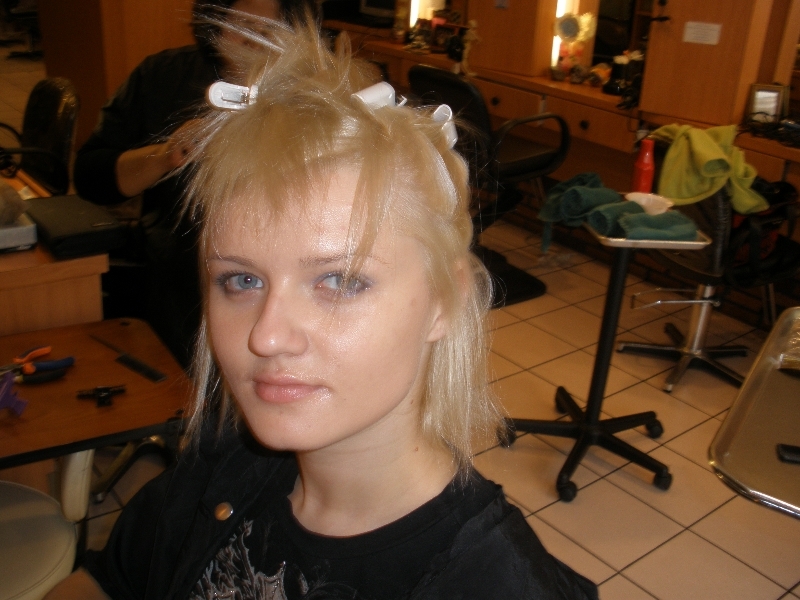 . .
Soft summer blonde (double process). 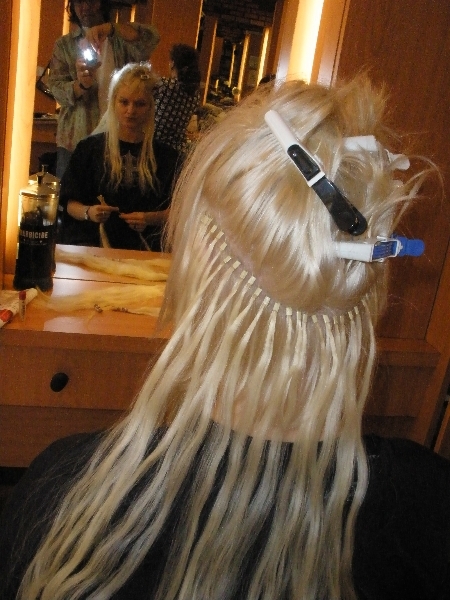 Middle of the back length, soft de-constructed angle starting past her nose, blending her shorter length hair to the longer hair extensions. 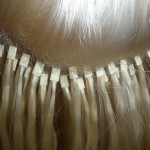 Micro ring hair extensions, 6 bundles of hair, 2 layered bundles, 4 bundles of premium hair. 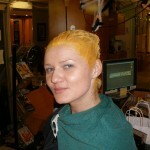 Use David Groshen’s “Secret Egg Formula” (a dollop of Gel Mousse and a splash of Orange Stuff). 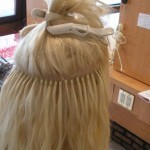 Use a large round boar bristle brush, lift, pull, and stretch each section until the hair is straight. 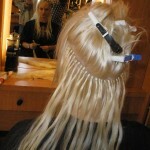 Use a flat iron to make the hair straight.